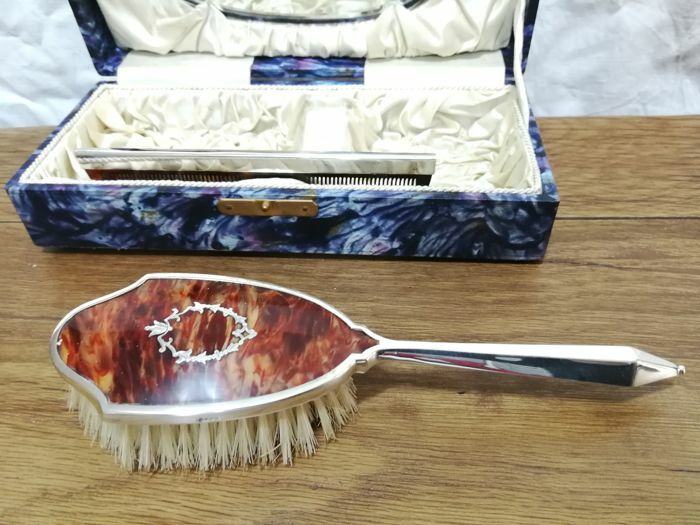 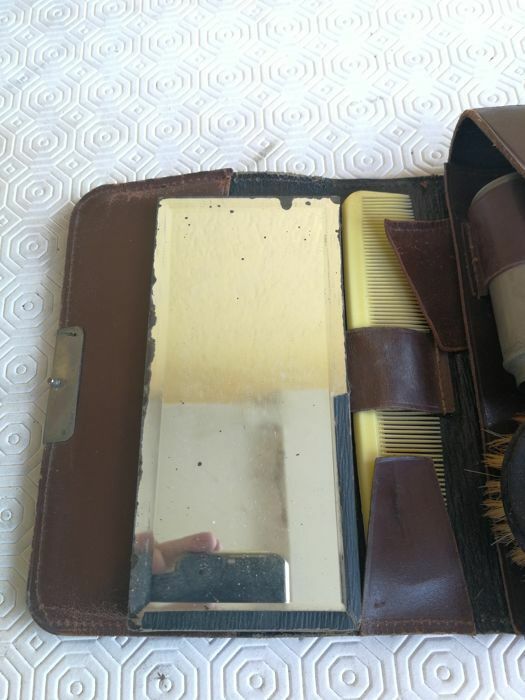 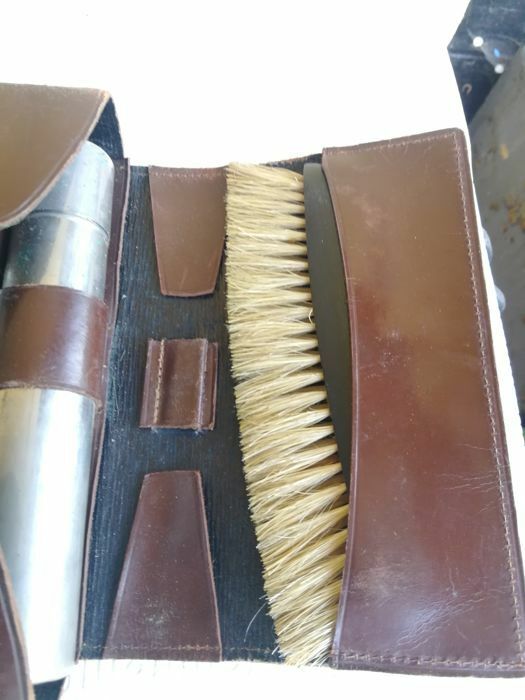 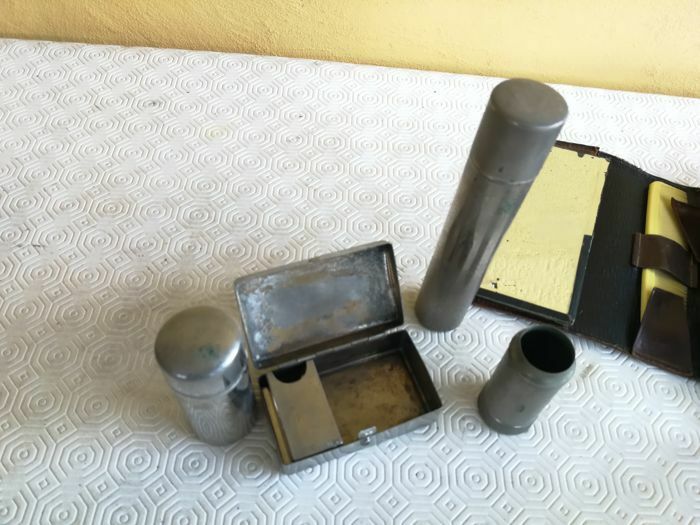 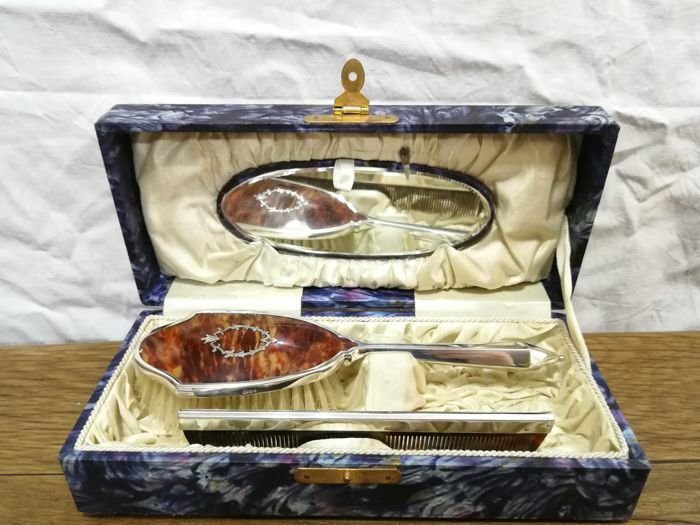 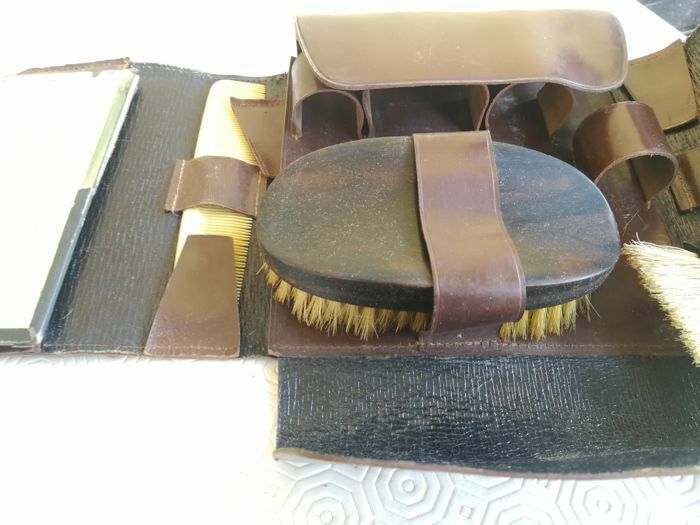 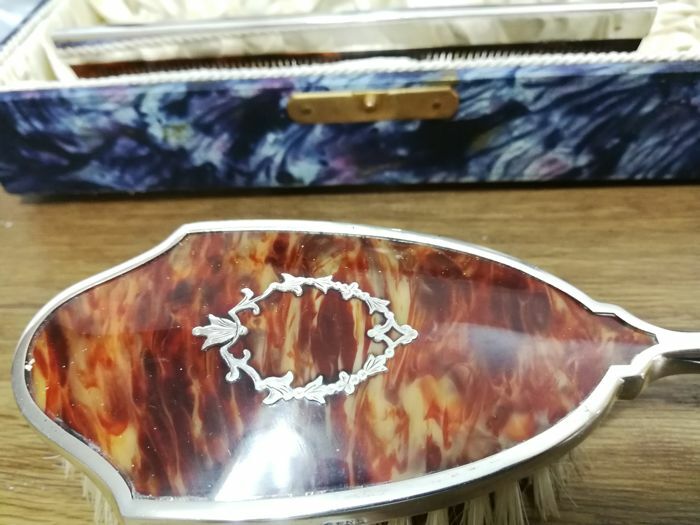 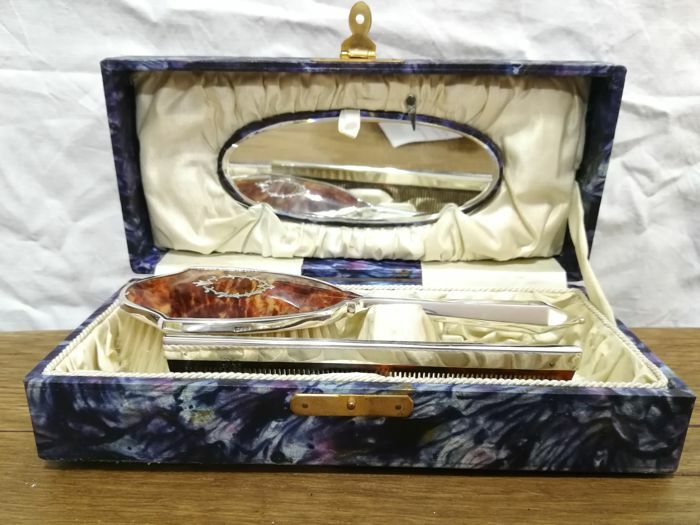 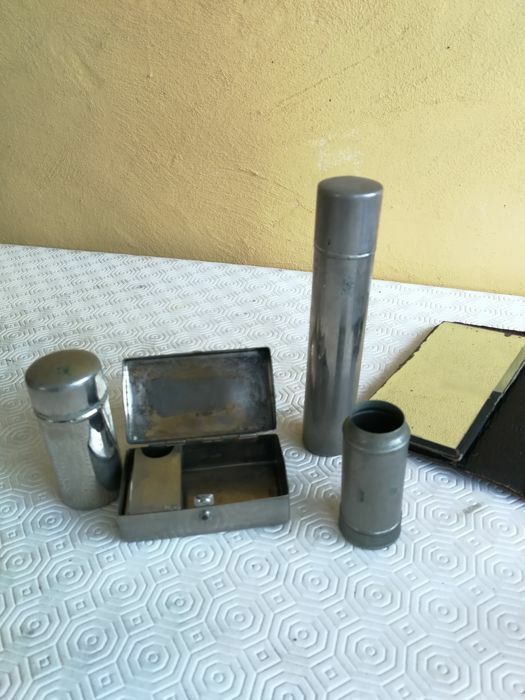 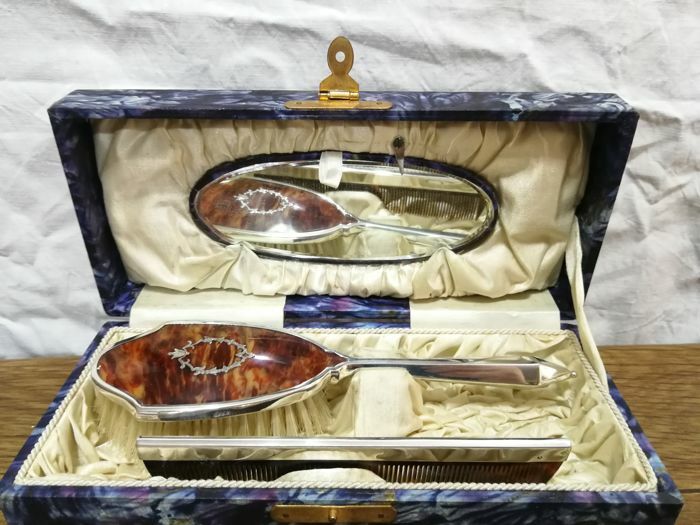 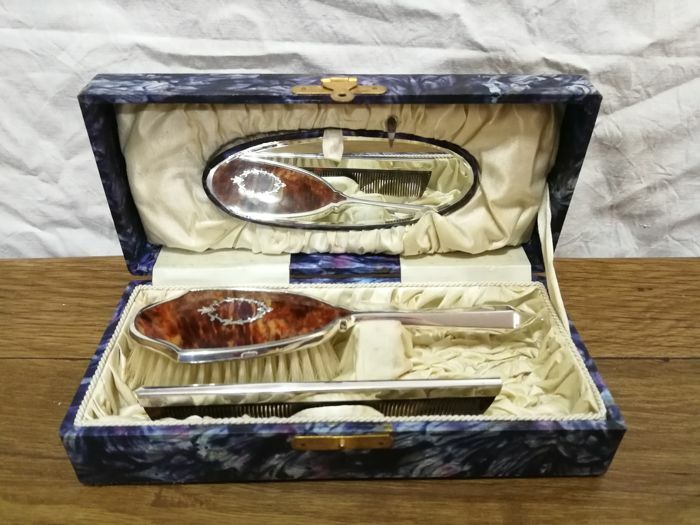 Lot 183 - Magnificent set of Brush, Mirror and comb, with box. 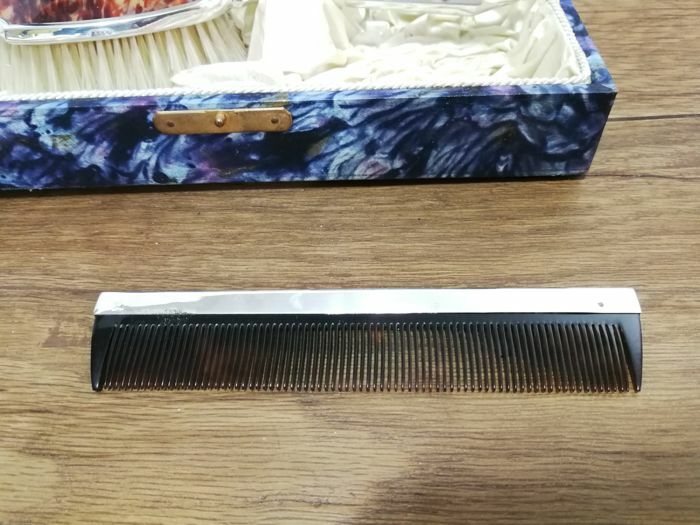 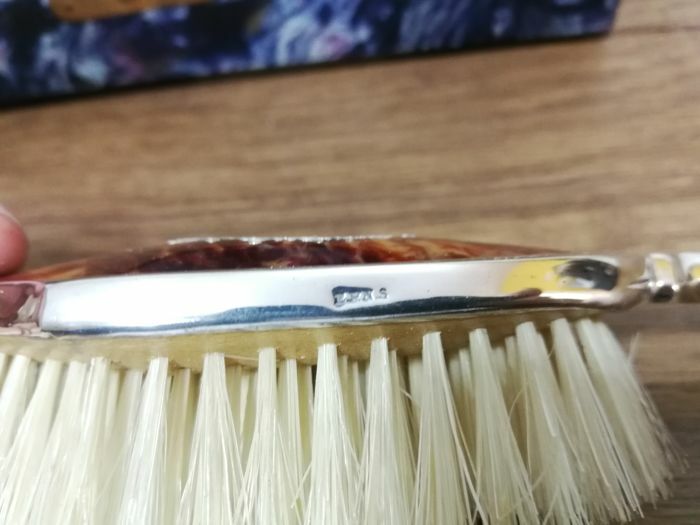 and the comb has a silver plated grip. 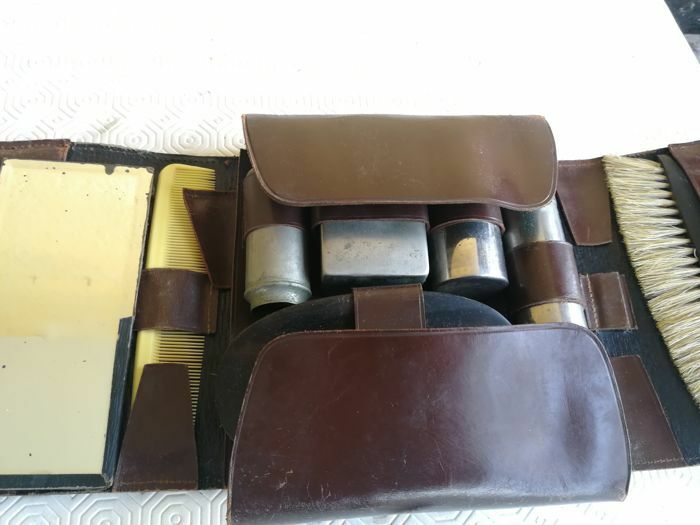 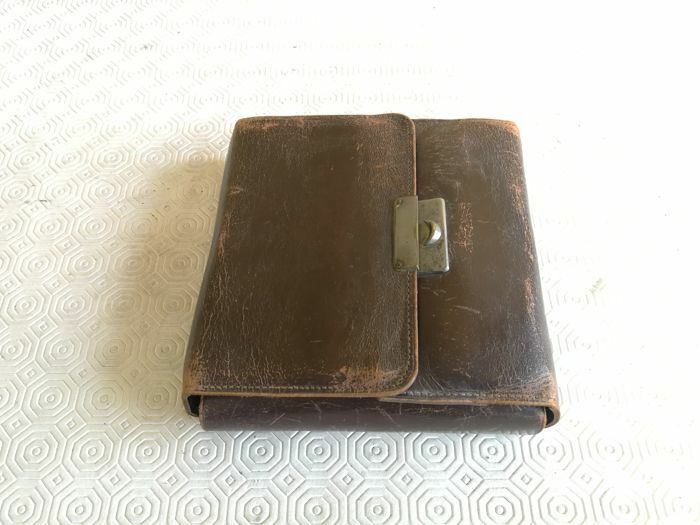 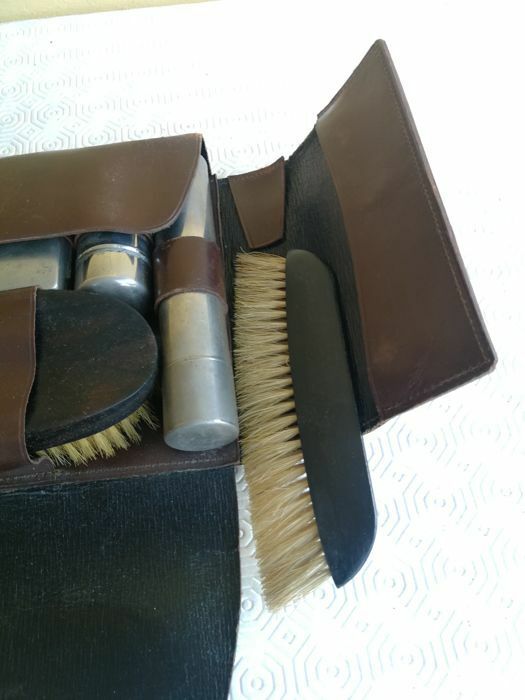 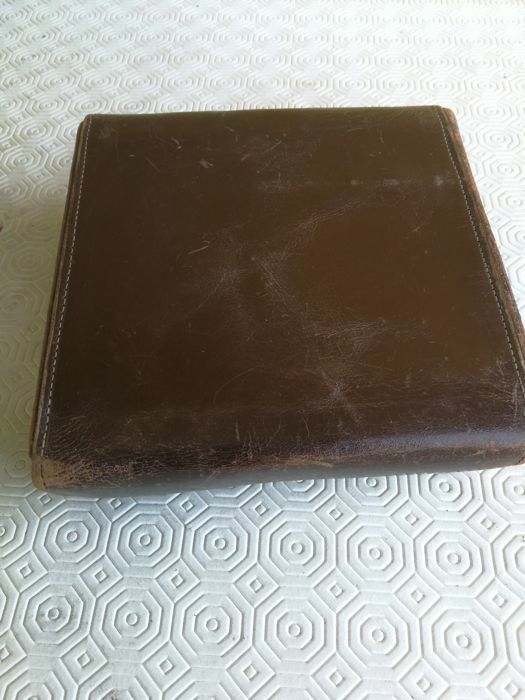 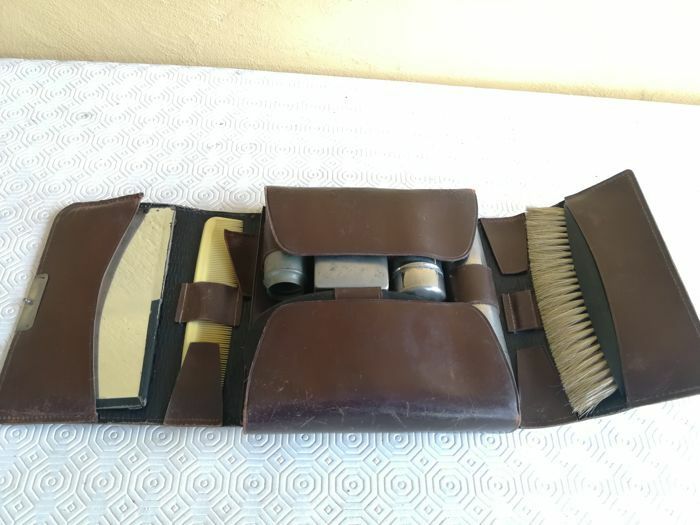 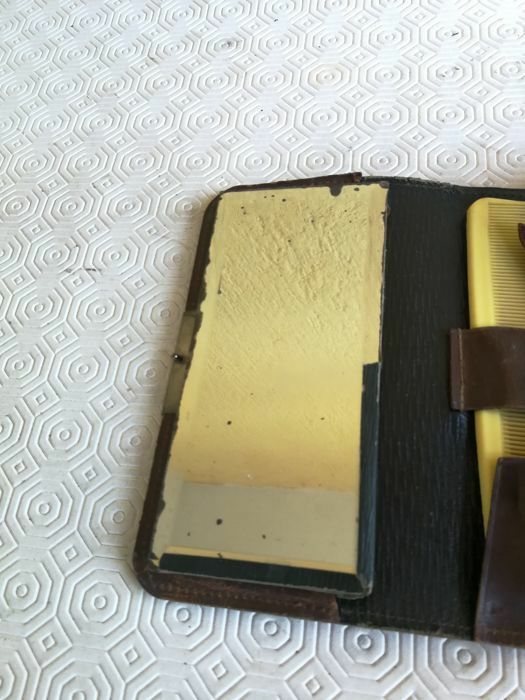 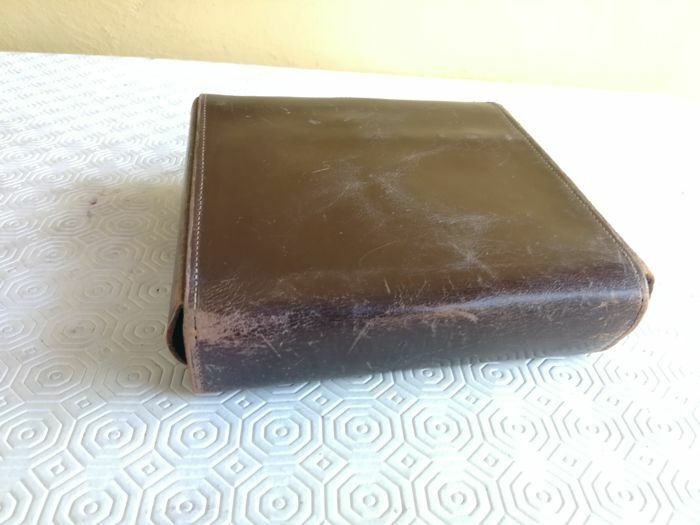 Men’s travel toiletry bag in leather. 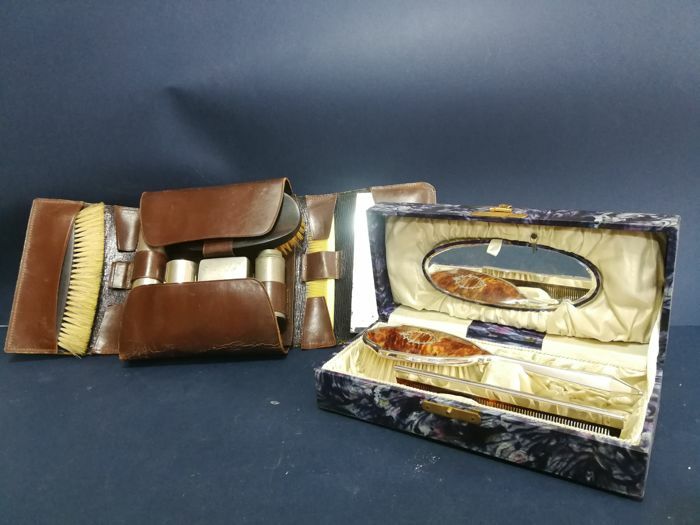 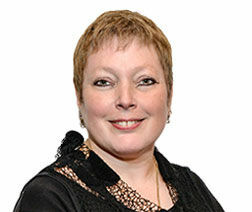 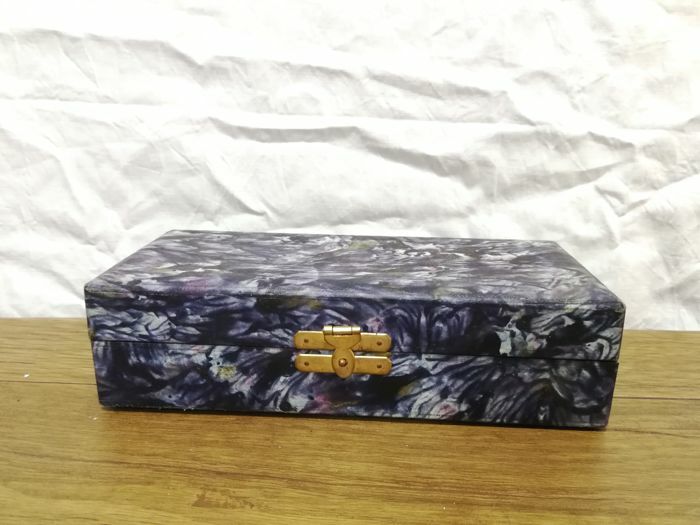 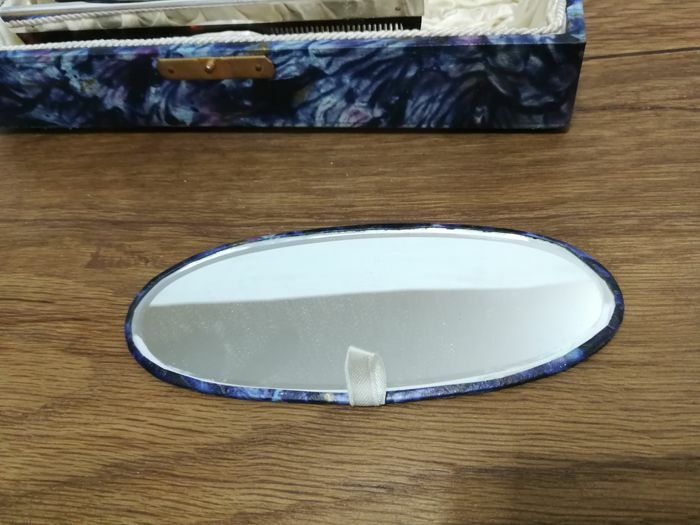 Please, look at the photos, which are an integral part of the item’s description.